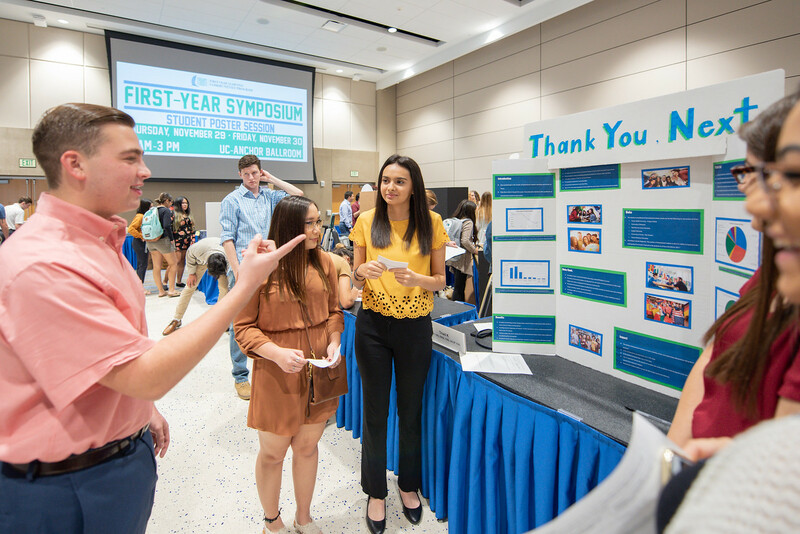 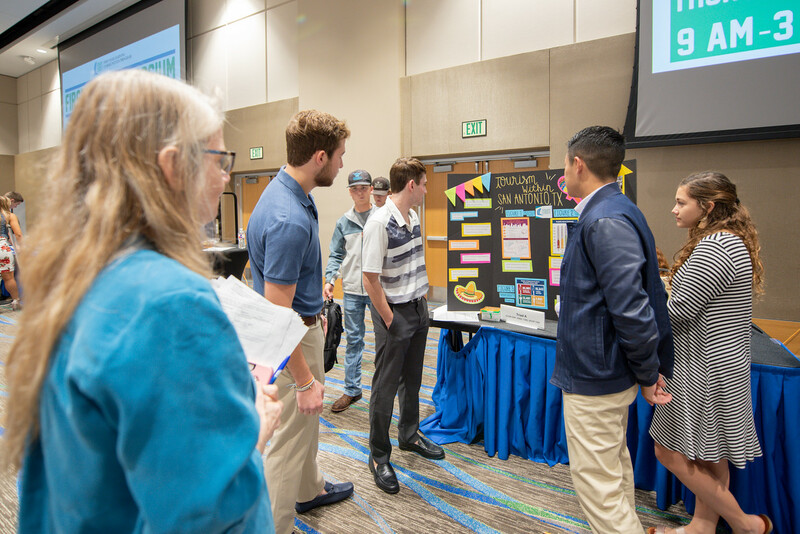 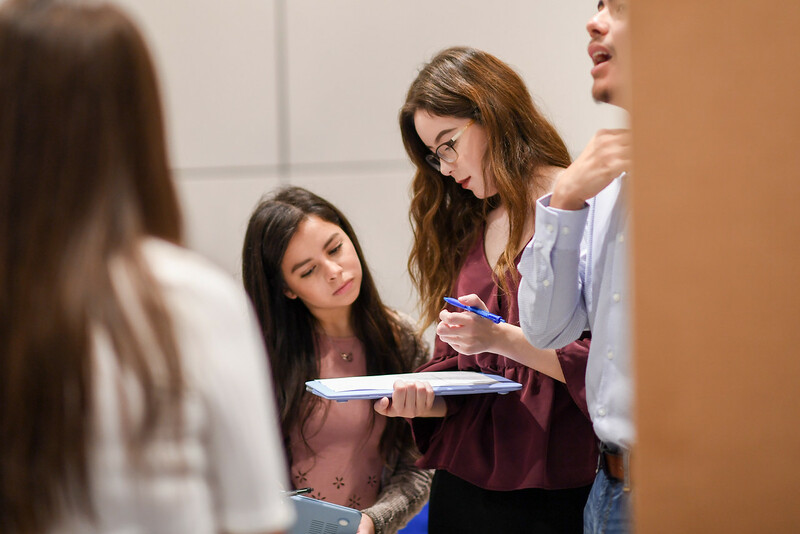 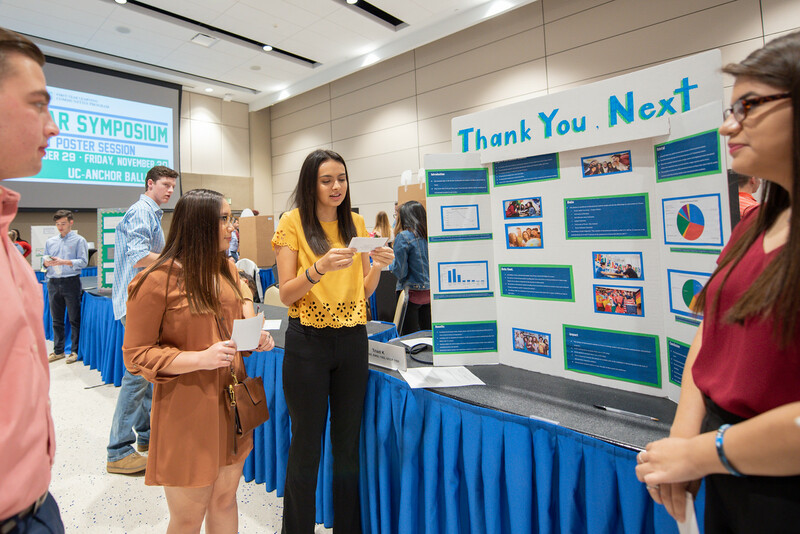 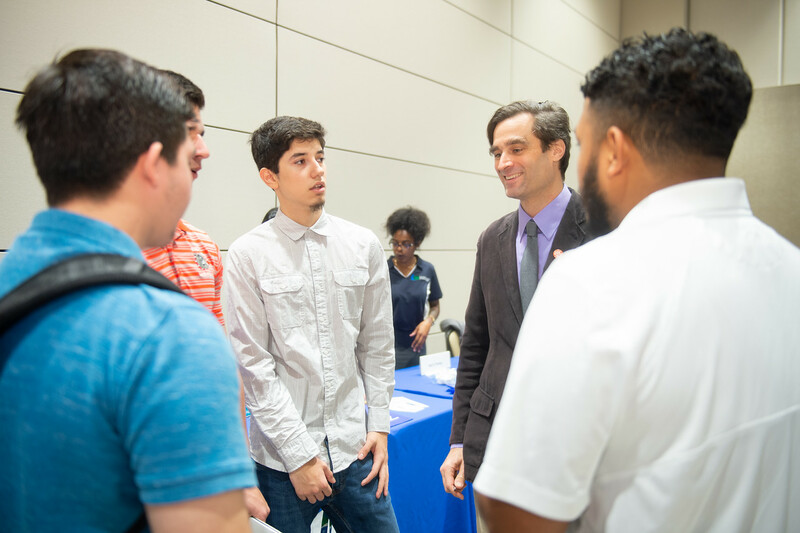 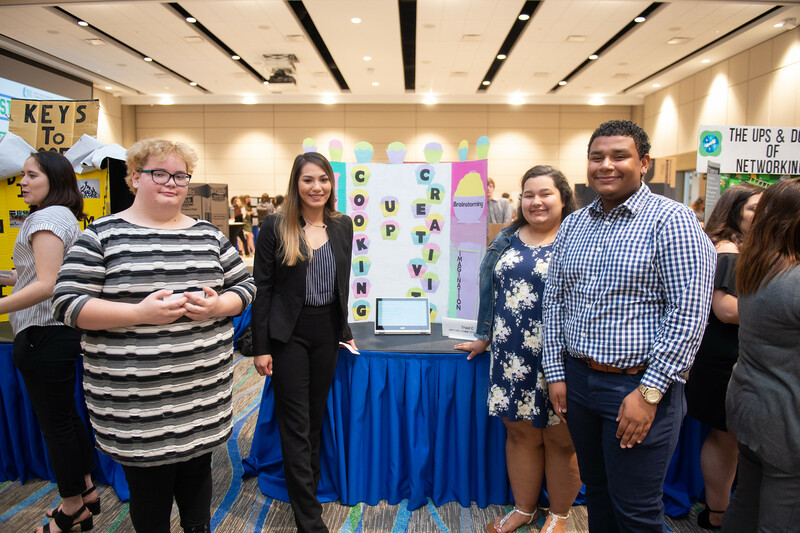 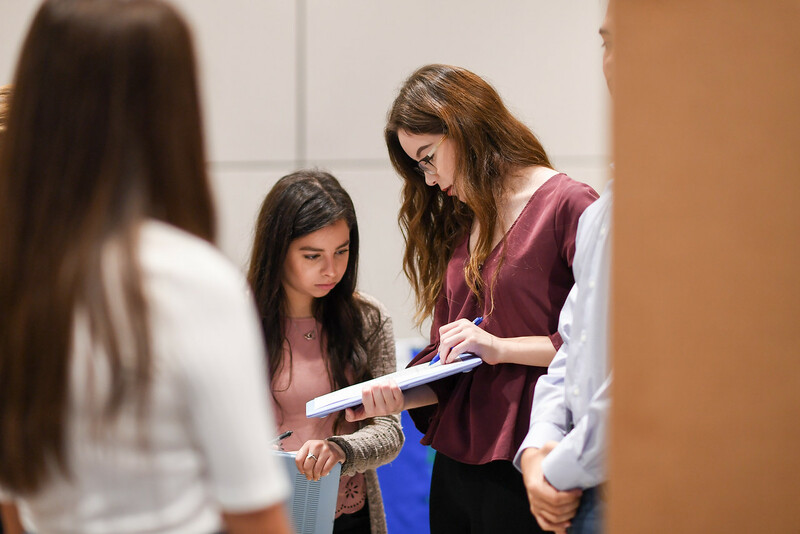 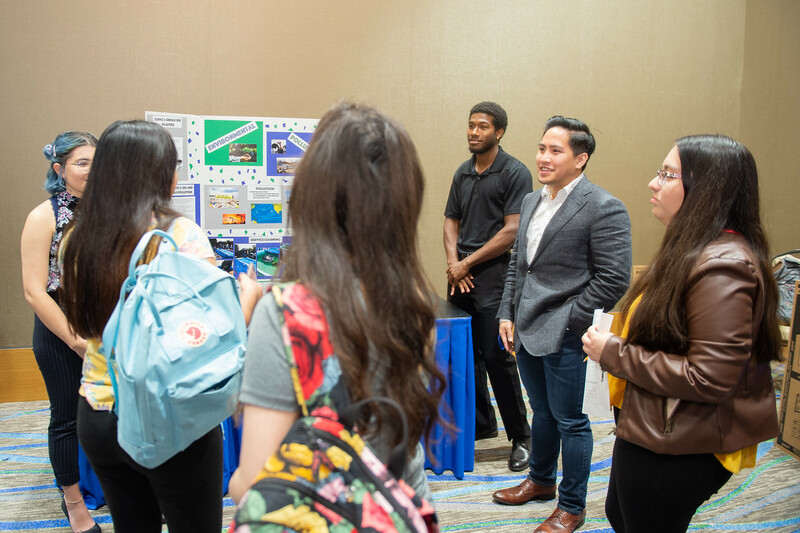 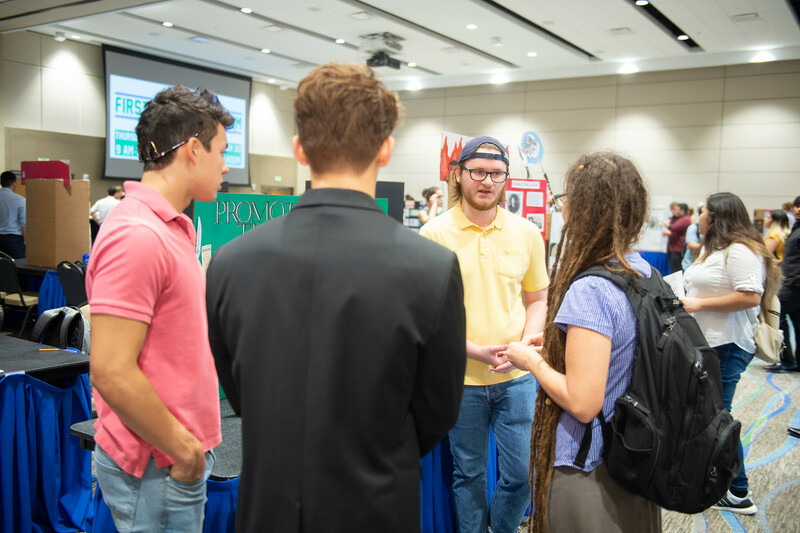 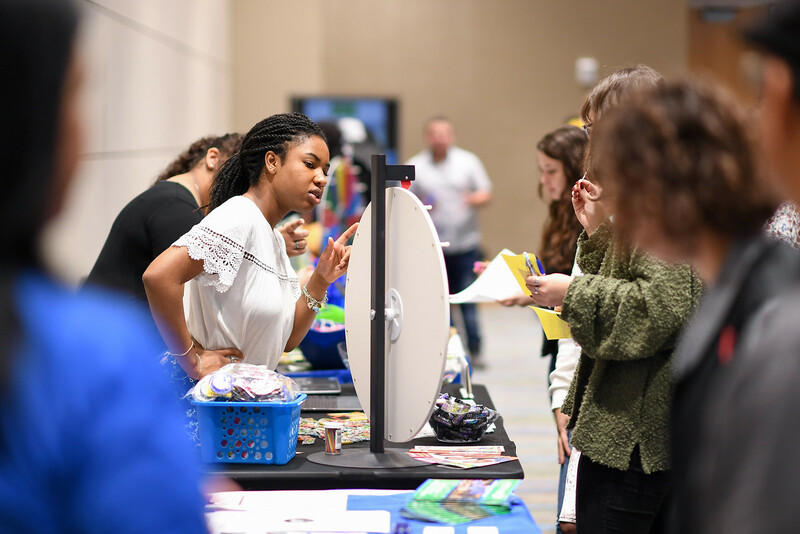 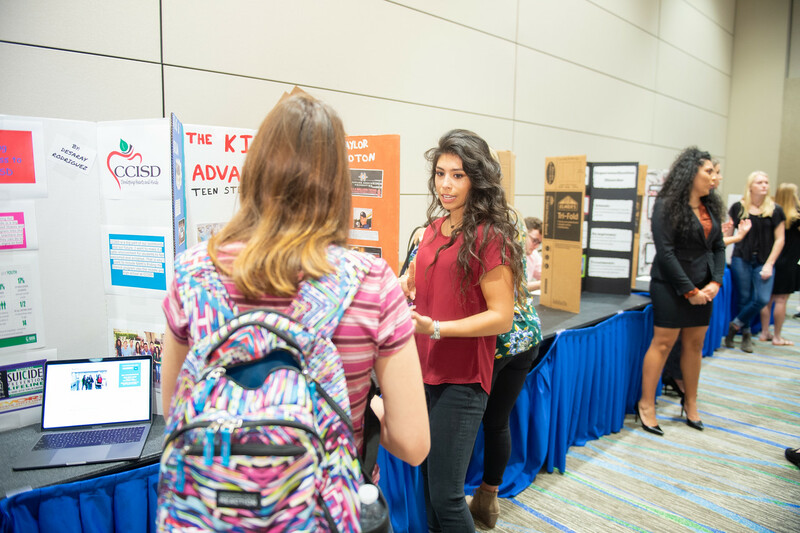 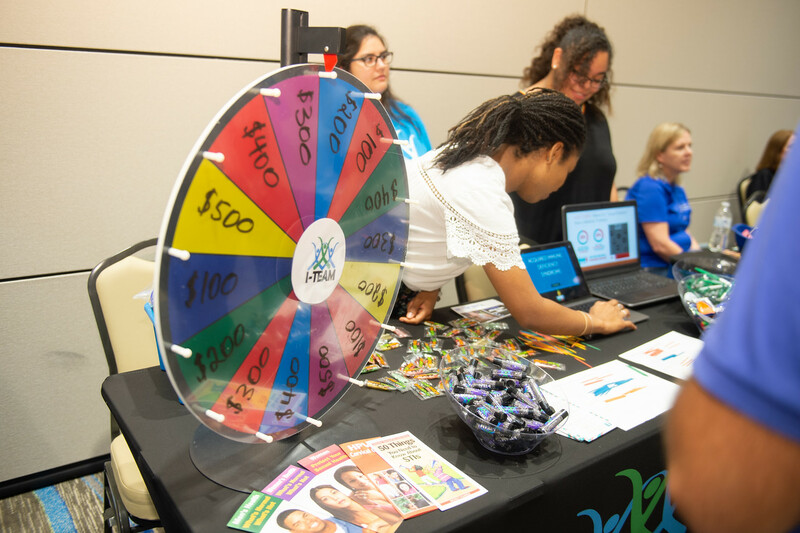 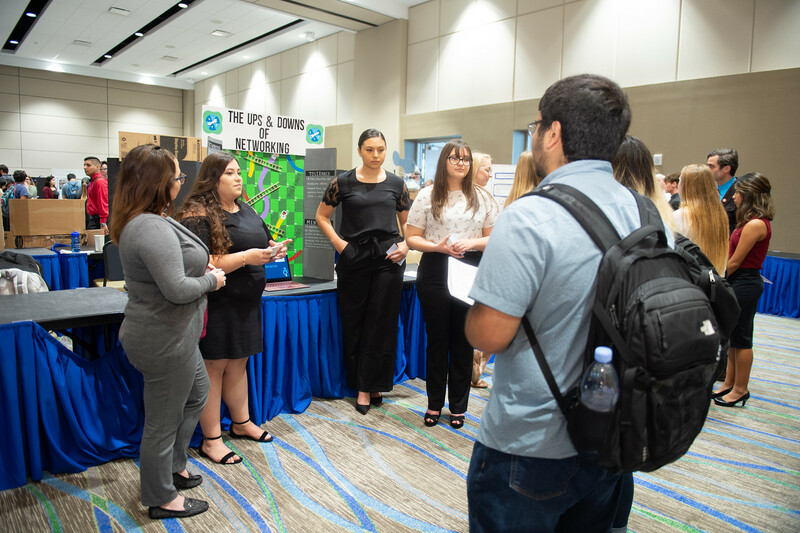 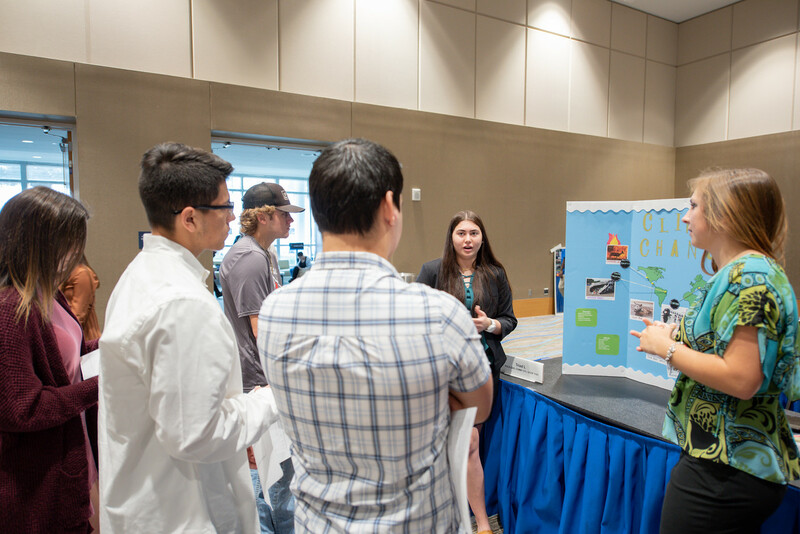 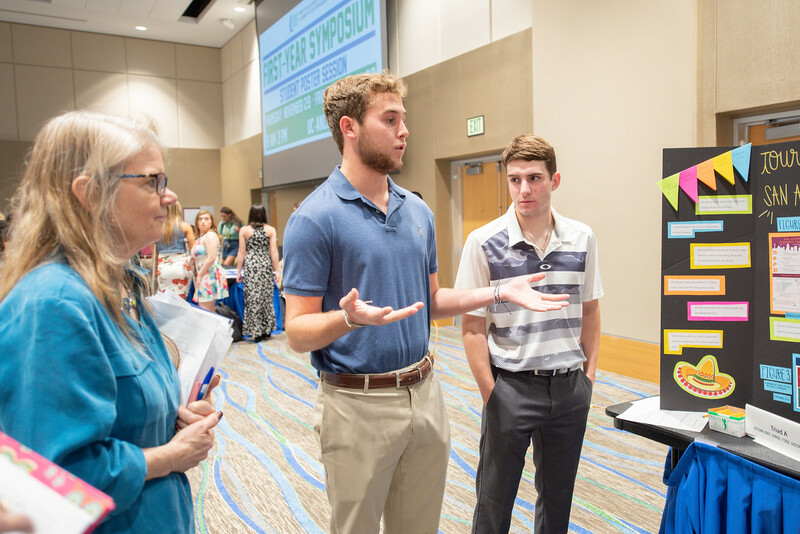 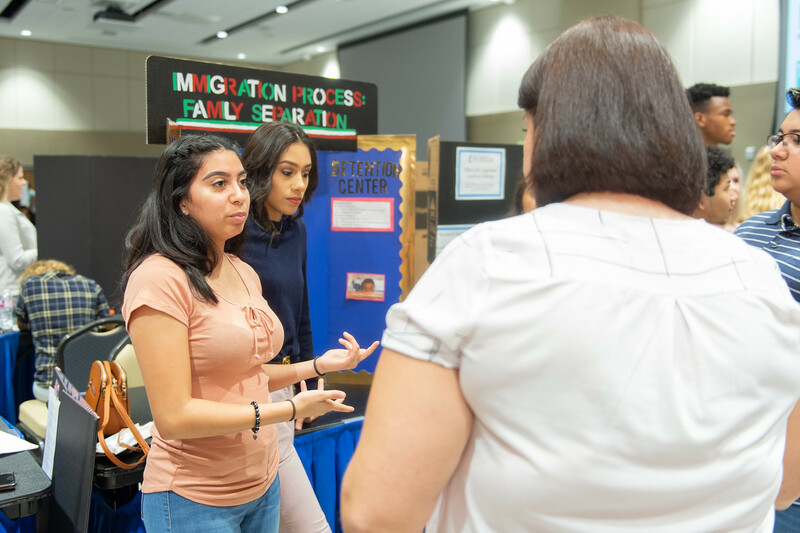 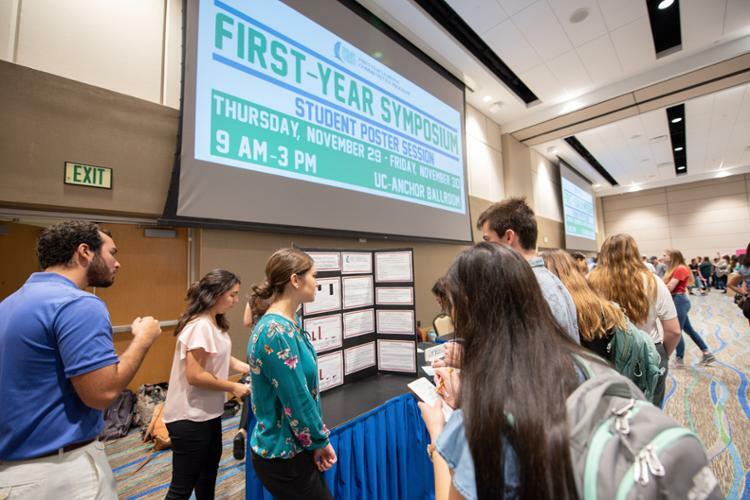 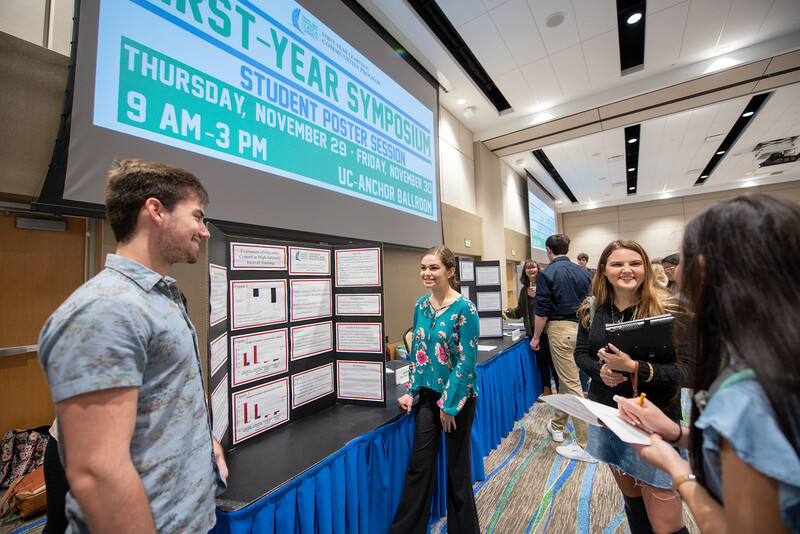 CORPUS CHRISTI, Texas – Ask any new undergraduate and he or she will tell you: The First-Year Symposium is a rite of passage for every first-year student at Texas A&M University-Corpus Christi. 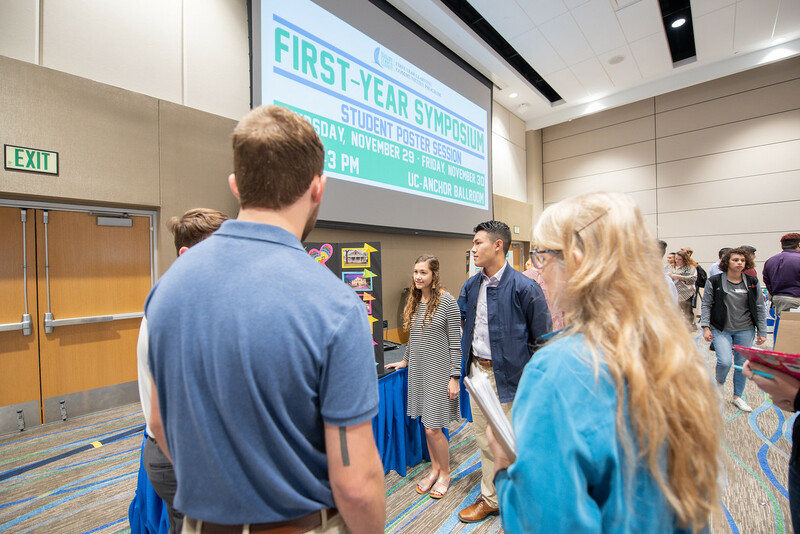 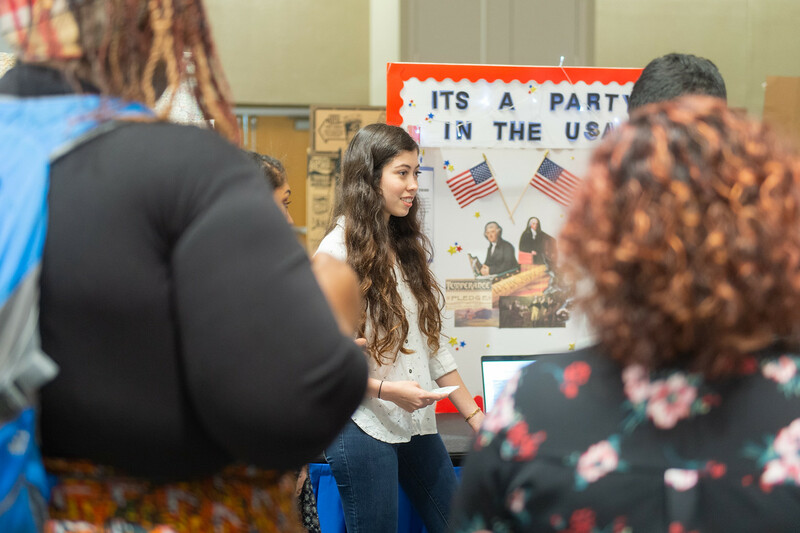 About 2,200 students sported dress-to-impress attire and shared details about their respective learning community project with symposium guests at this fall’s event, which was open to the public and held Nov. 29 and 30 in the University Center. 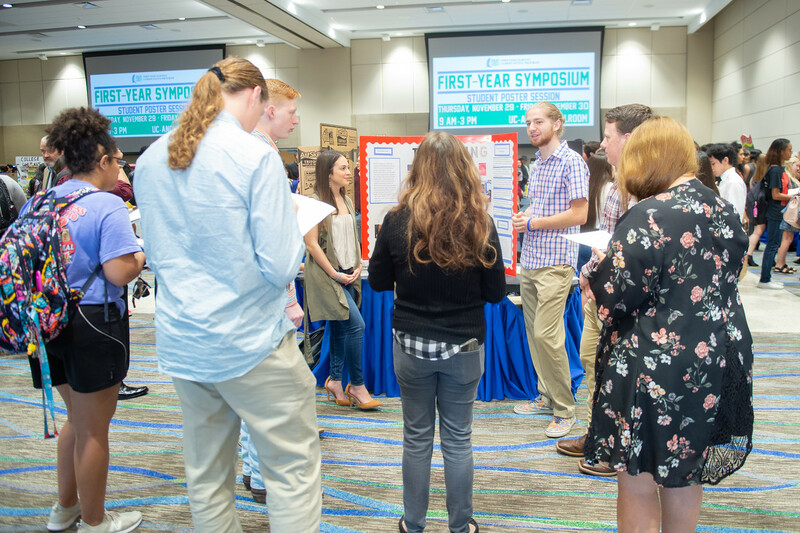 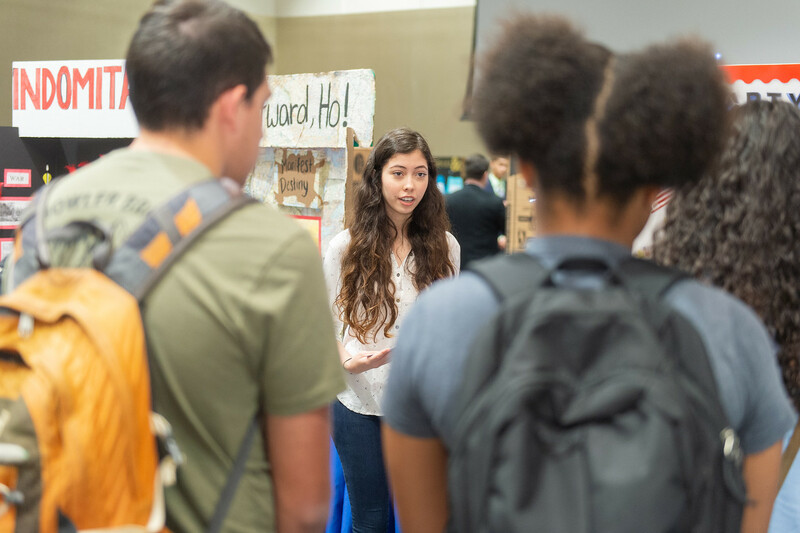 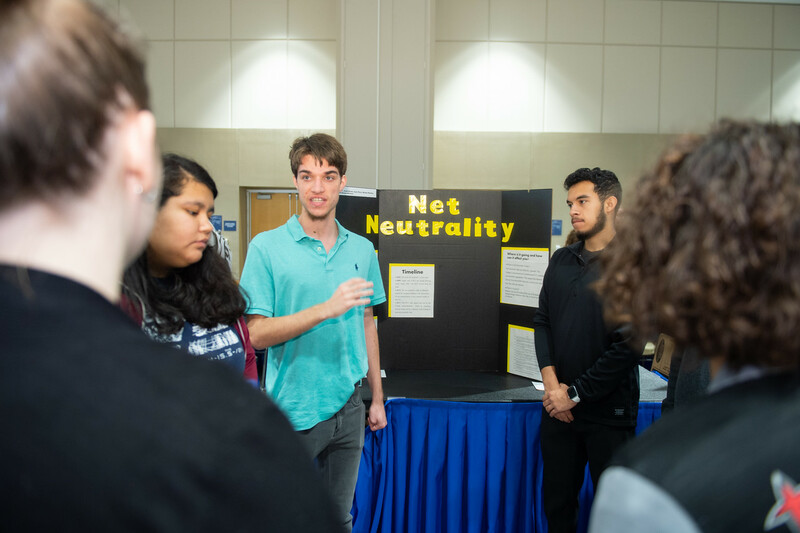 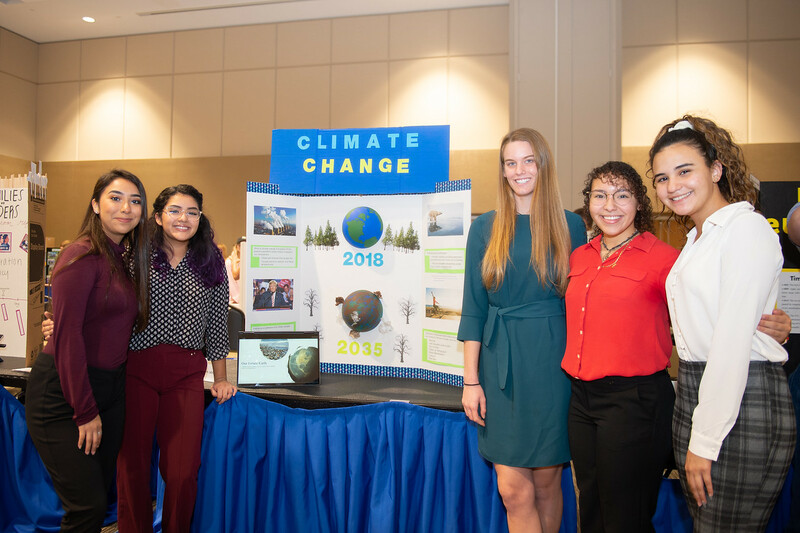 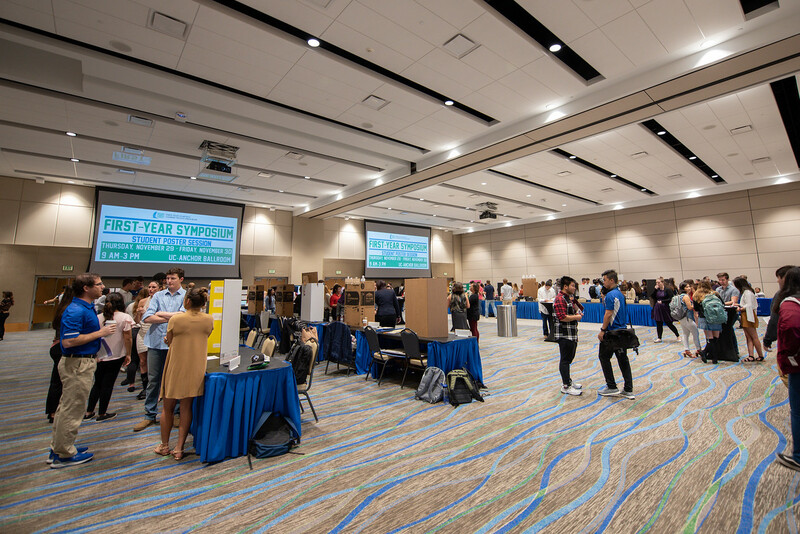 The poster-style conference consisted of 20 learning communities, including economics, environmental science, and independent seminar, to name a few. 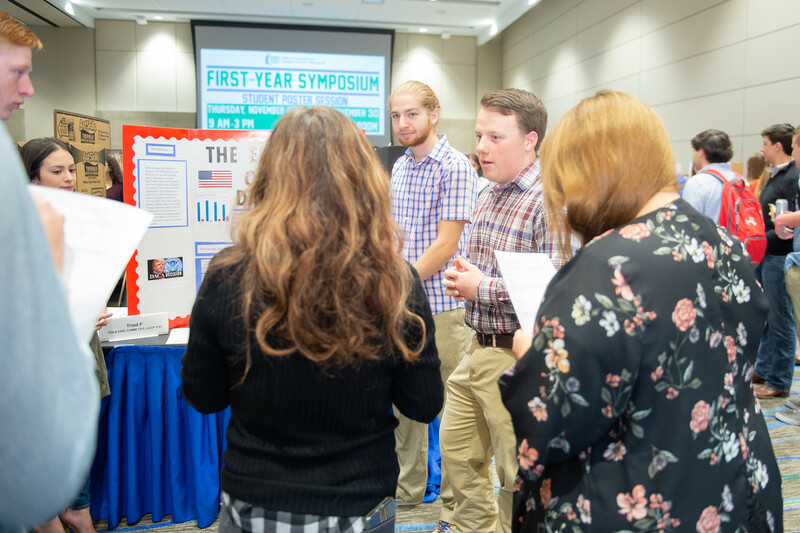 Symposium coordinator Chelsie Hawkinson knows firsthand the thrill and anxiety the average presenting student faces: She is a graduate of the Island University’s First-Year Learning Communities Program (FYLCP) and first joined the FYLCP faculty as a teaching assistant in 2007. 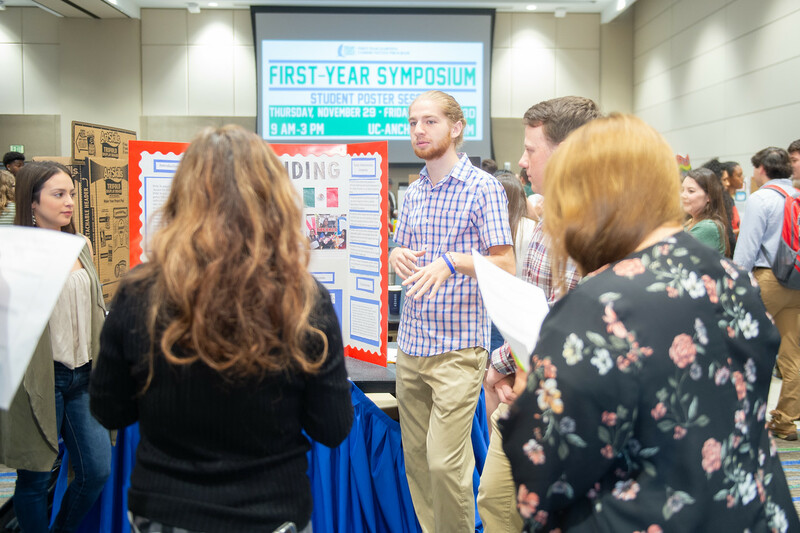 Learning community faculty and the collaboration that takes place on learning community teams are key components to the success of First-Year Symposium, Hawkinson said. 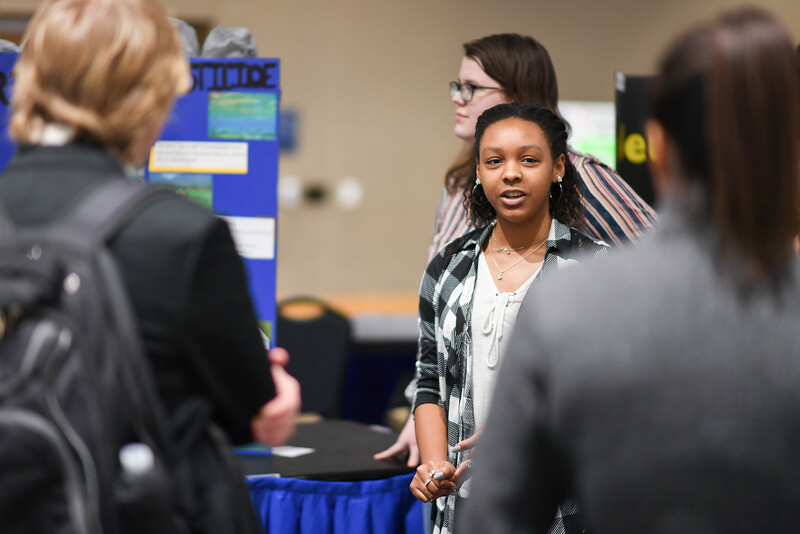 Political science and biomedical sciences double major Morell Jenkins is a junior and a first-year student at the University. 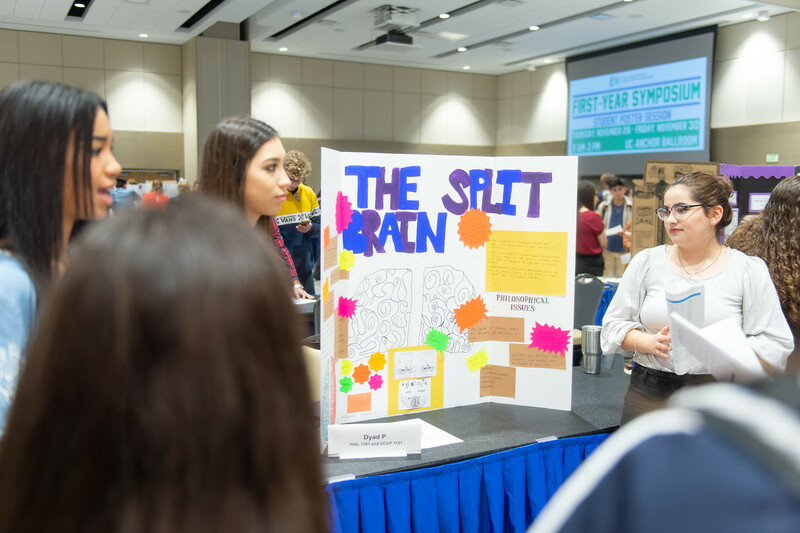 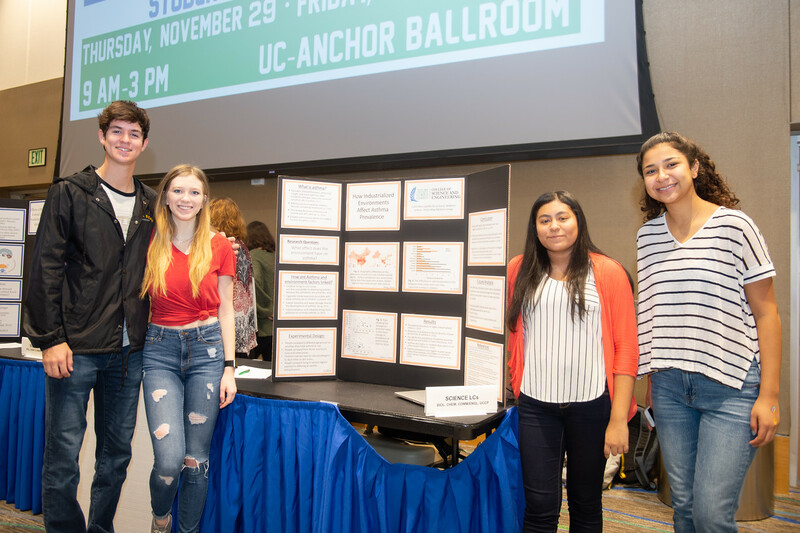 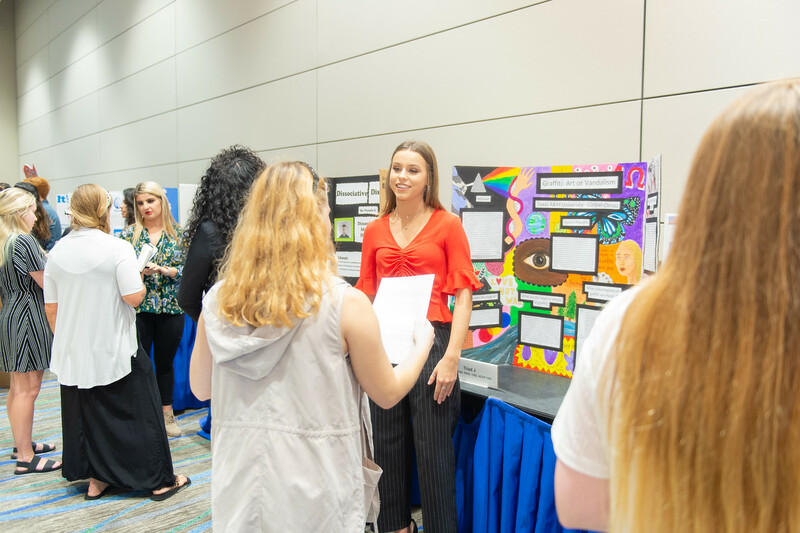 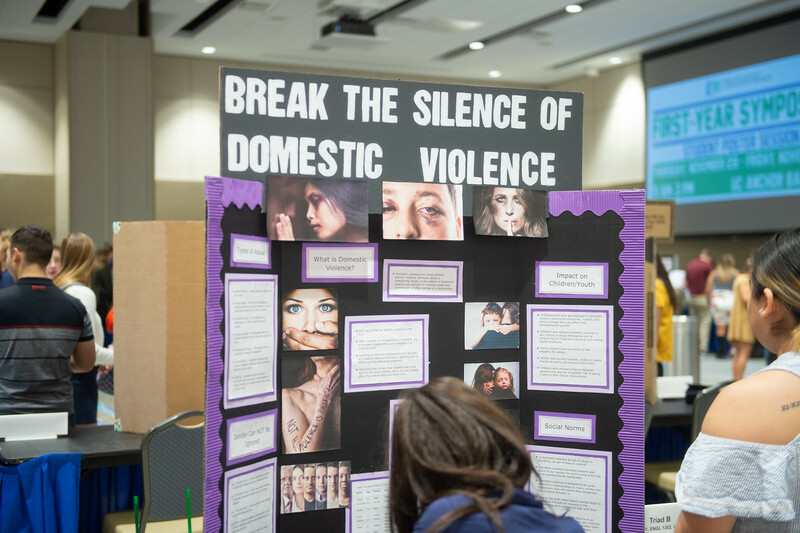 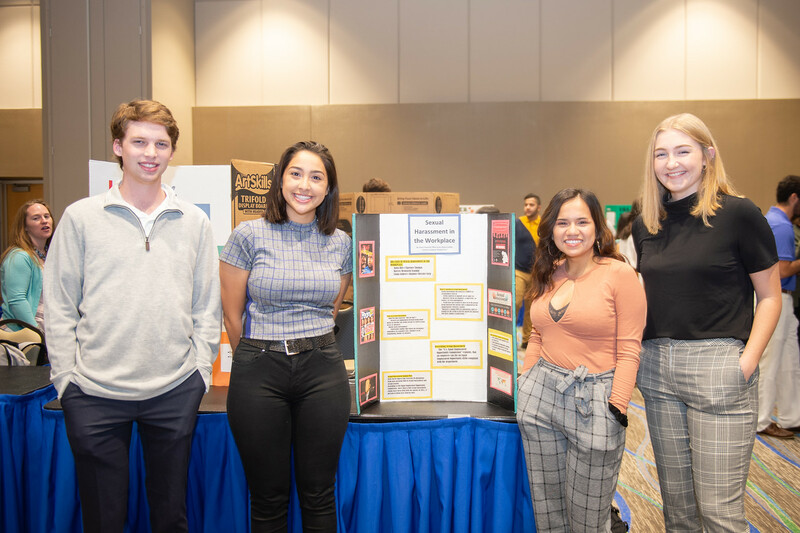 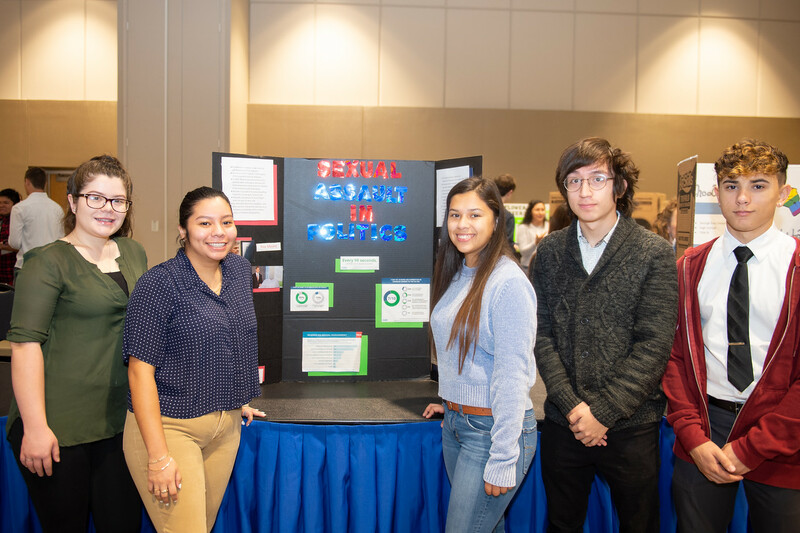 Jenkins was in the Biology and Chemistry Learning Community, which explored the theme “Science Success Through the Eight Dimensions of Wellness.” Jenkins’ group presented a poster on the physical impacts of financial stress. 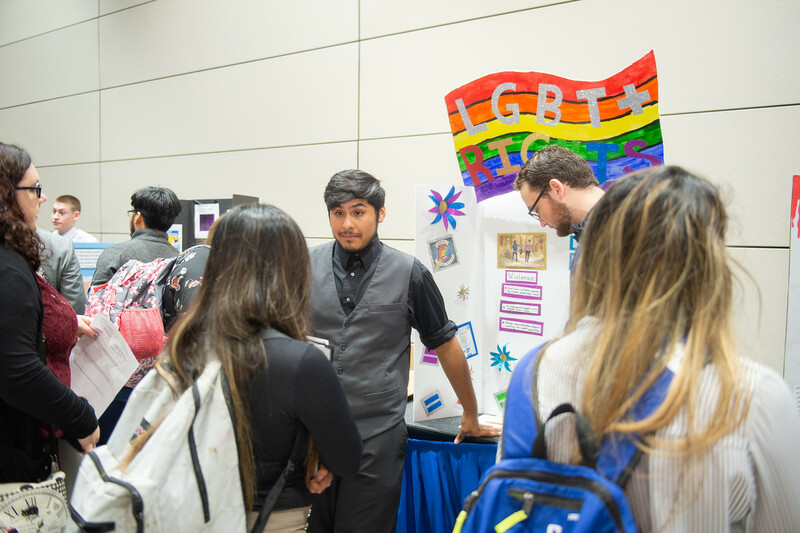 Media Arts major Adrian Martinez was in the Sociology Learning Community and together with group members Juan Garza, Aquileo Estrada, Leo Rubinos, and Walker Herrold, the team focused on busting a cultural norm – in this case, how personal space is valued in American society. 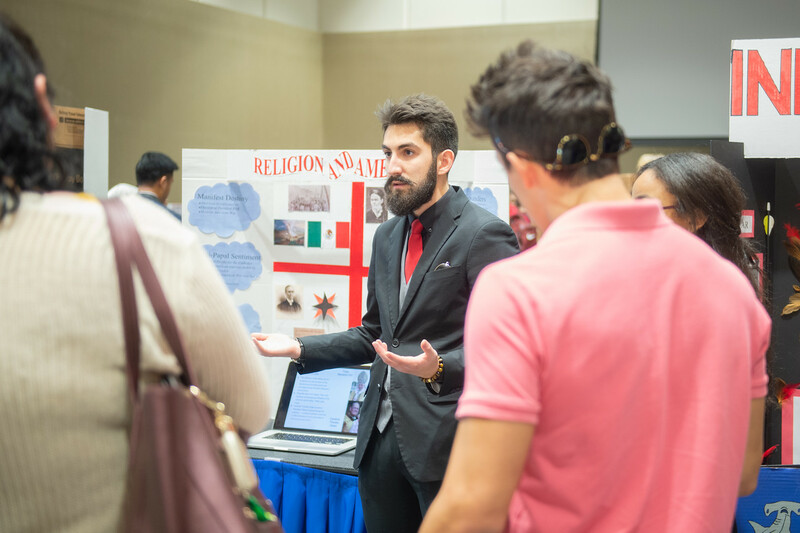 The team conducted an experiment in a large public shopping center where Martinez approached subjects and invaded their personal space so his team-members could record the reactions, which were presented at the First-Year Symposium in a video loop. 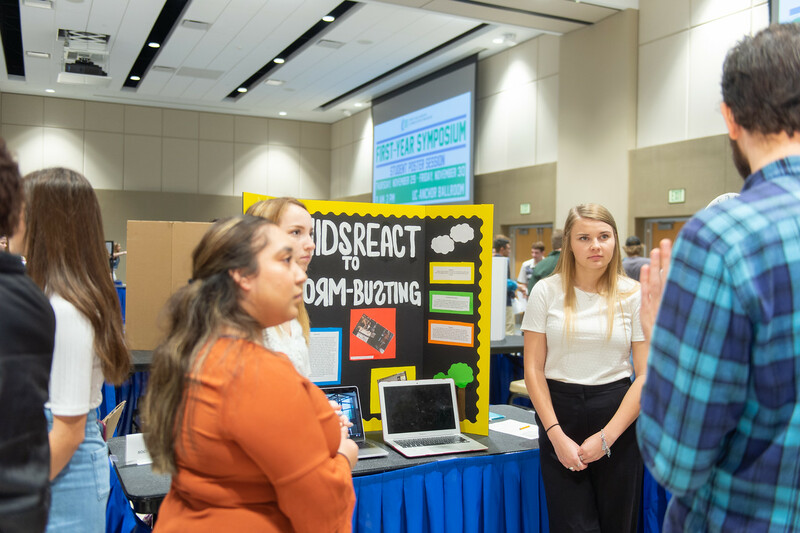 Reactions, the team said, ranged from surprise to outright hostility. 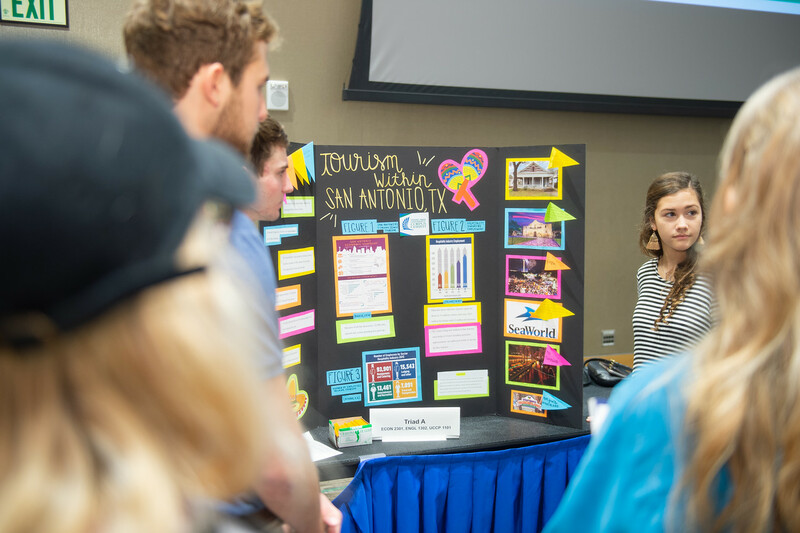 The sociology group then expressed the number of reactions by ethnicity in a data chart on its poster. 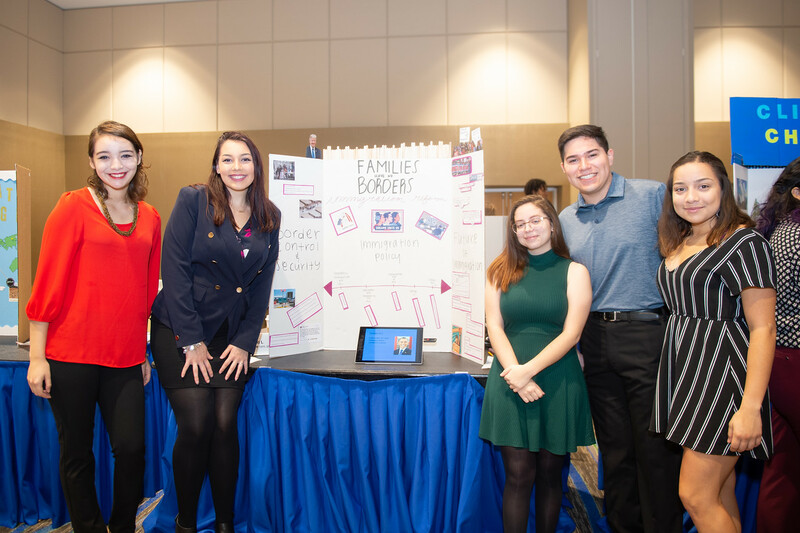 “In the U.S., we value who stands next to us and how much space we have, which is different from other cultures where personal space is not valued the same way,” Martinez said. 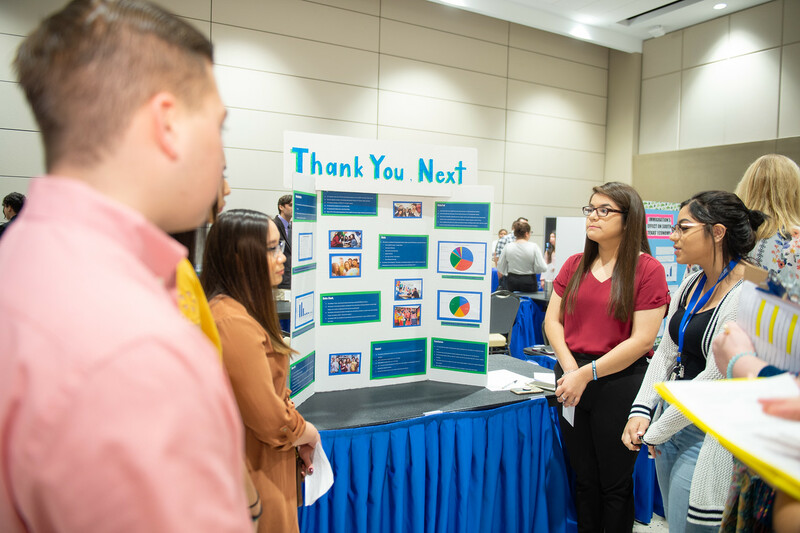 An innovative, nationally recognized program that helps students successfully transition from high school to the university, FYLCP has been awarded a Texas Higher Education Star Award by the Texas Higher Education Board. 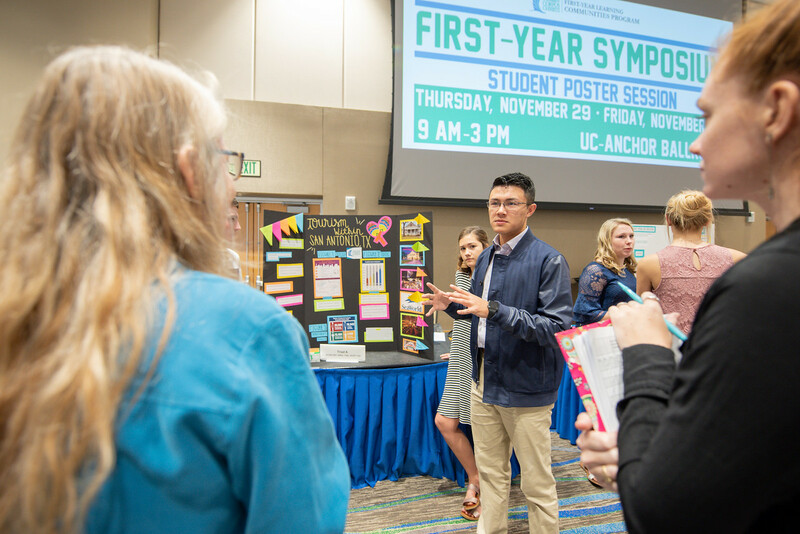 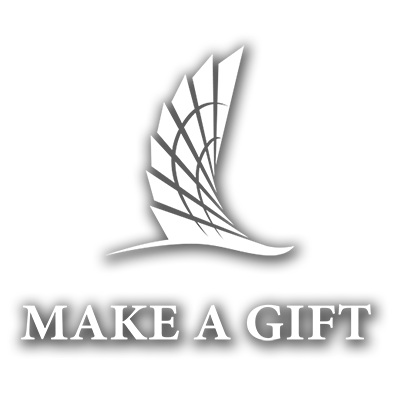 The program is housed in University College along with other programs that support undergraduate success, such as Honors Program, the Department of Undergraduate Studies and the Center for Orientation, Advising and Students in Transition (COAST). 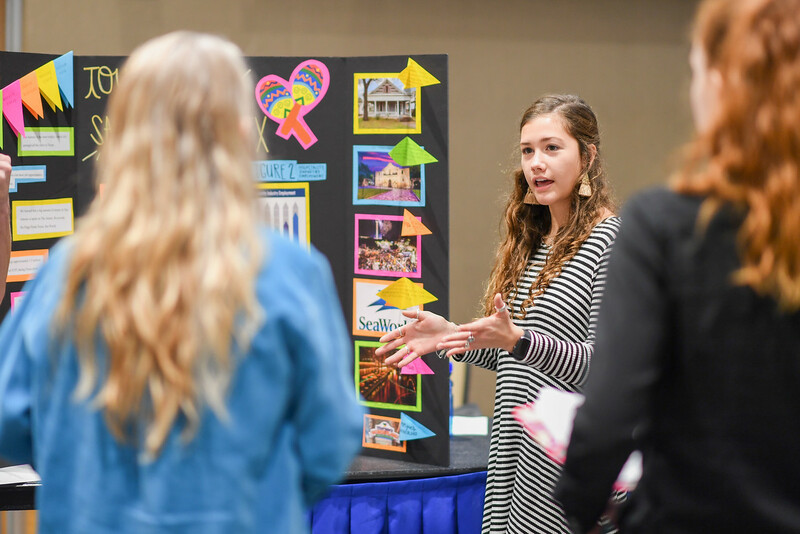 Hawkinson said she was pleased with event attendance as well as student performance.